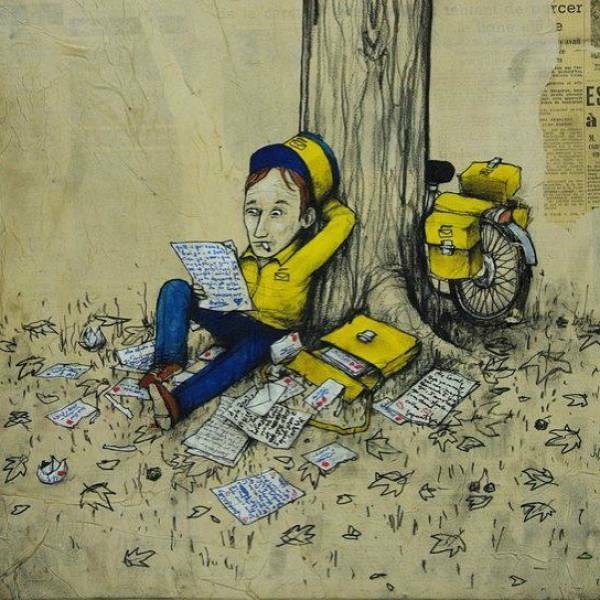 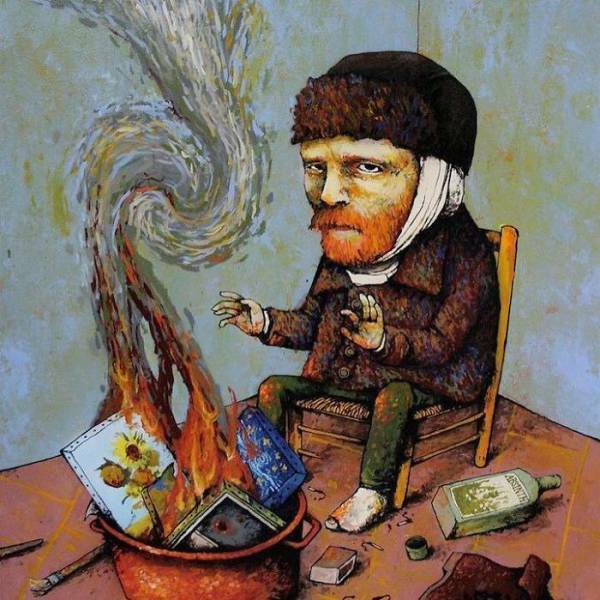 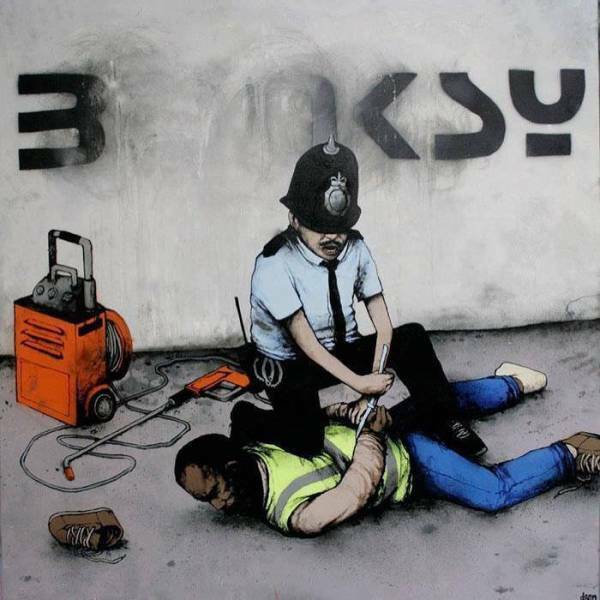 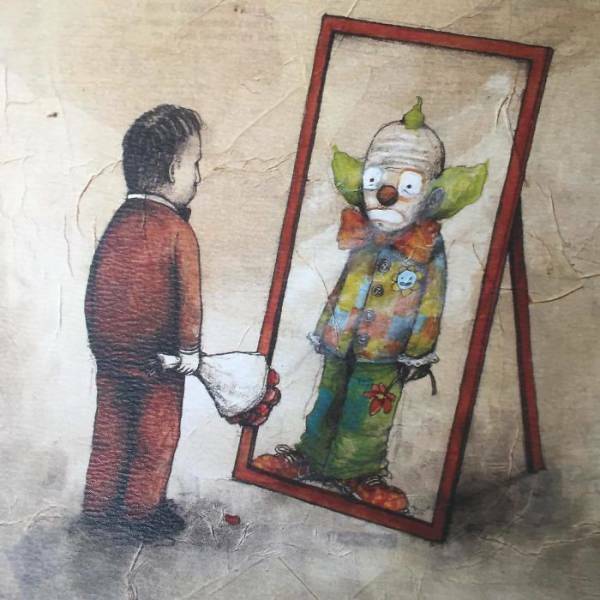 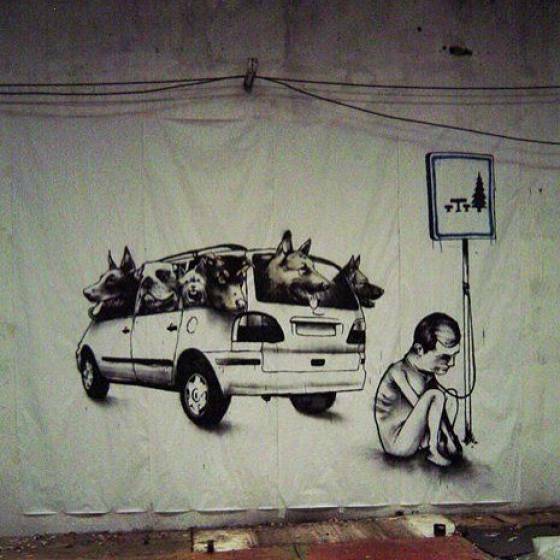 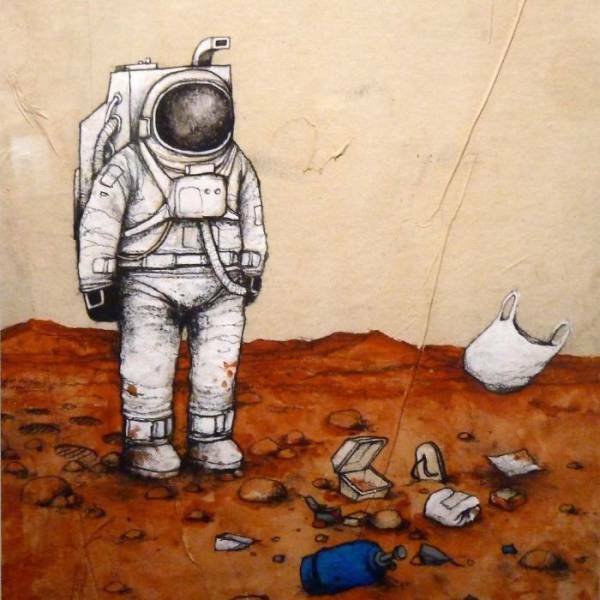 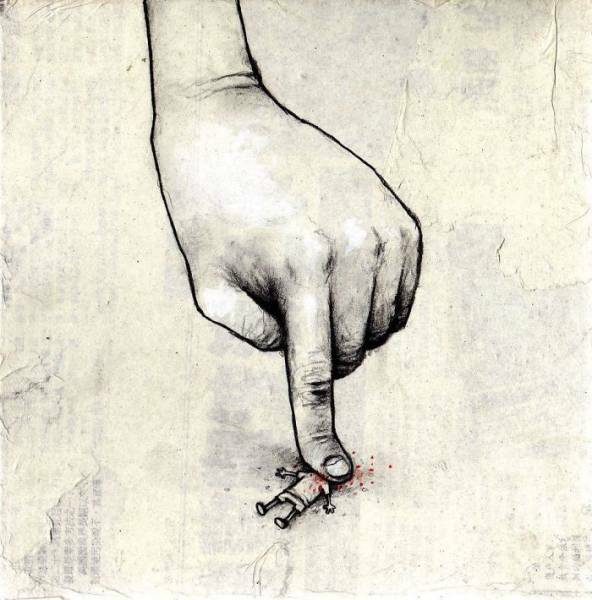 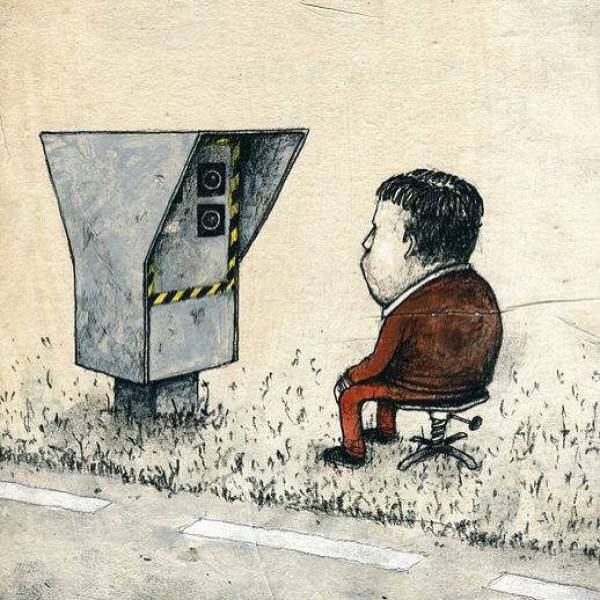 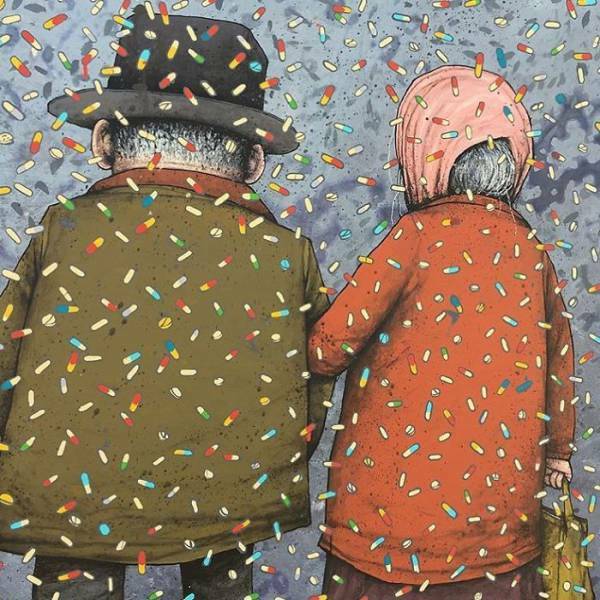 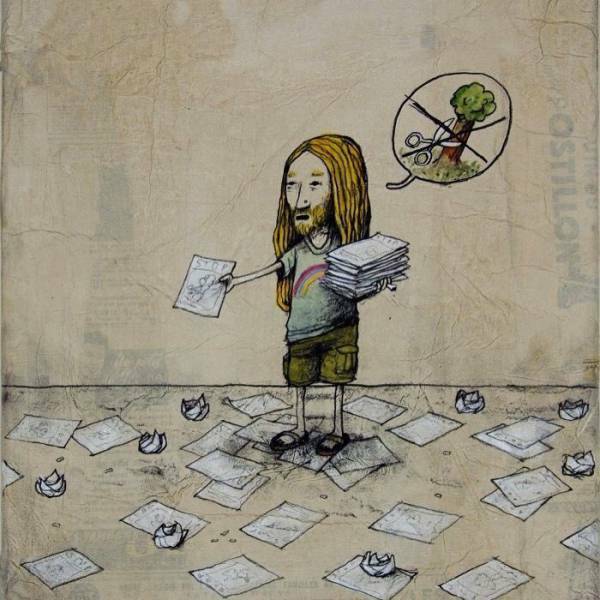 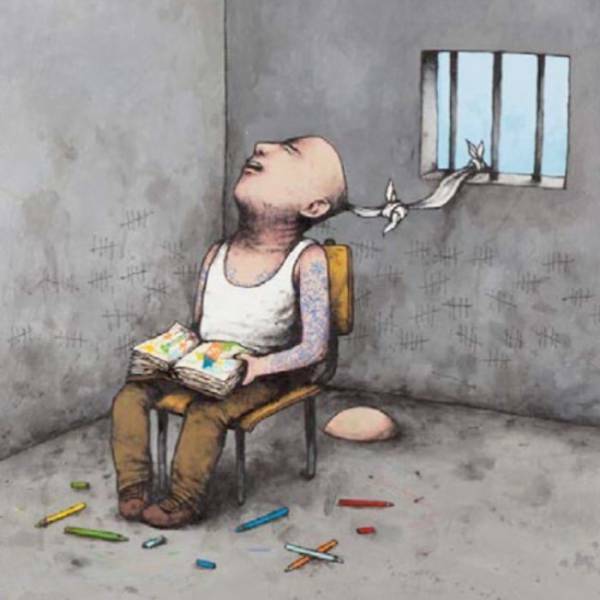 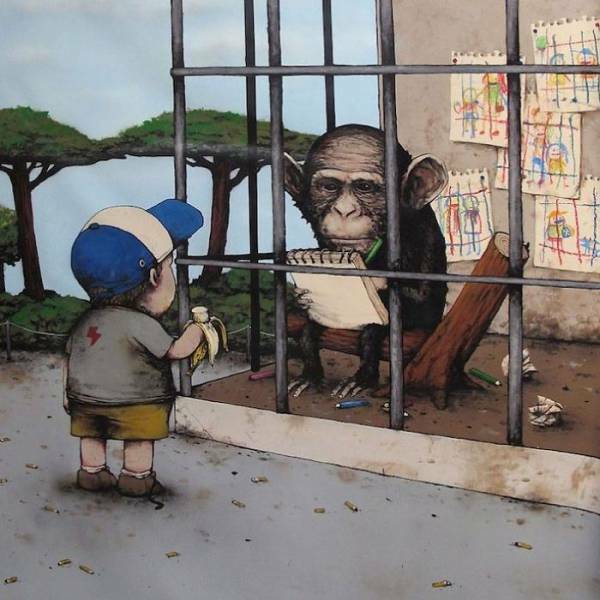 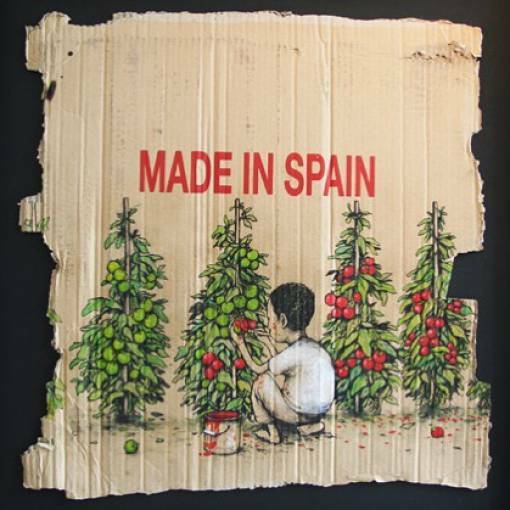 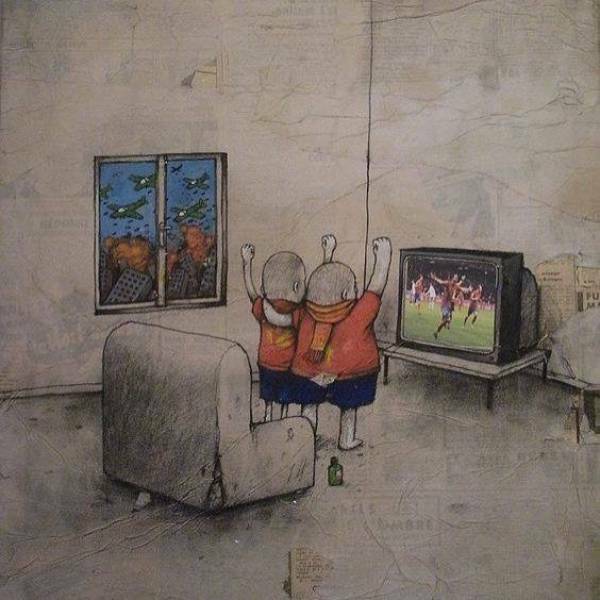 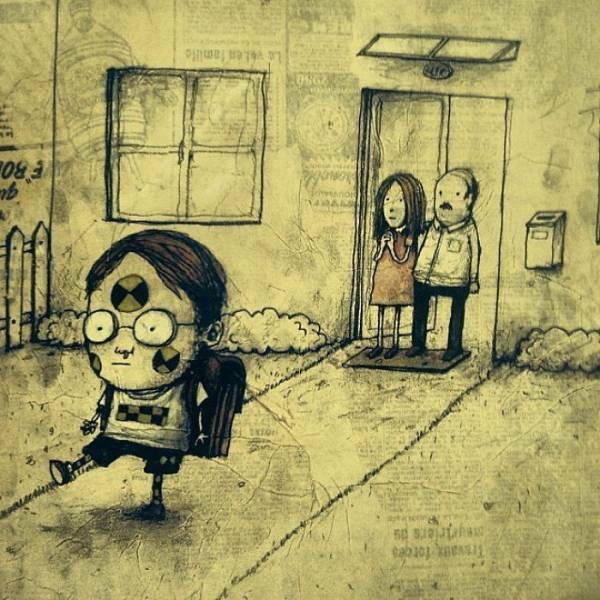 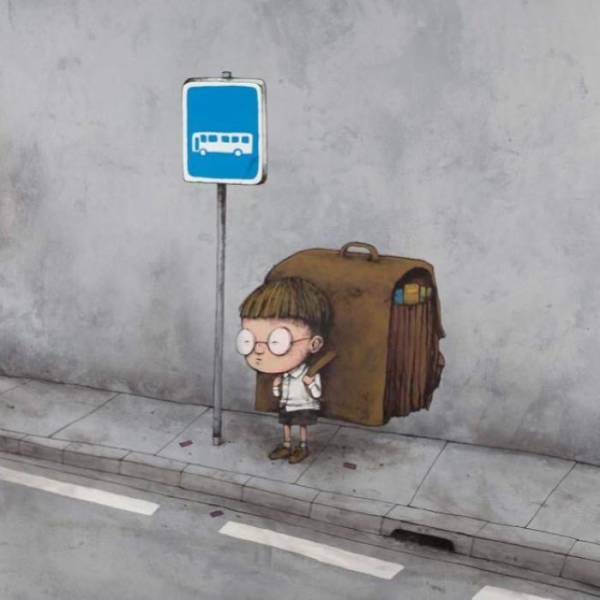 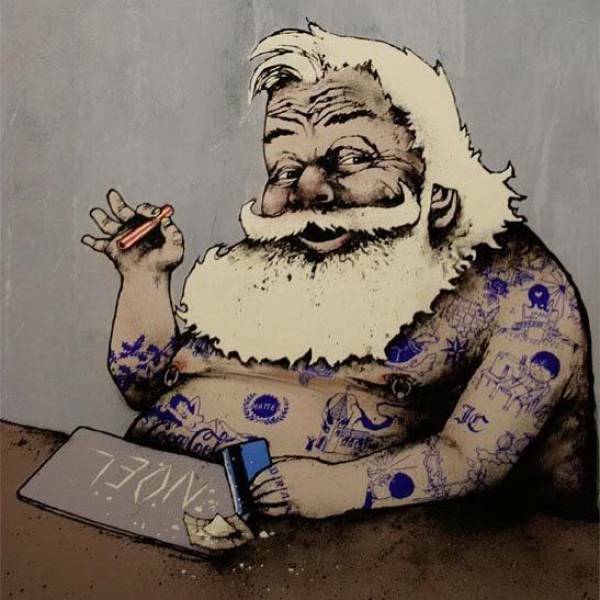 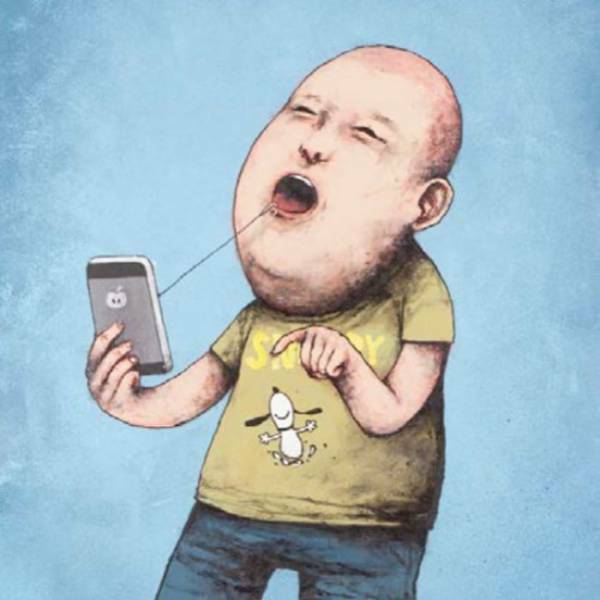 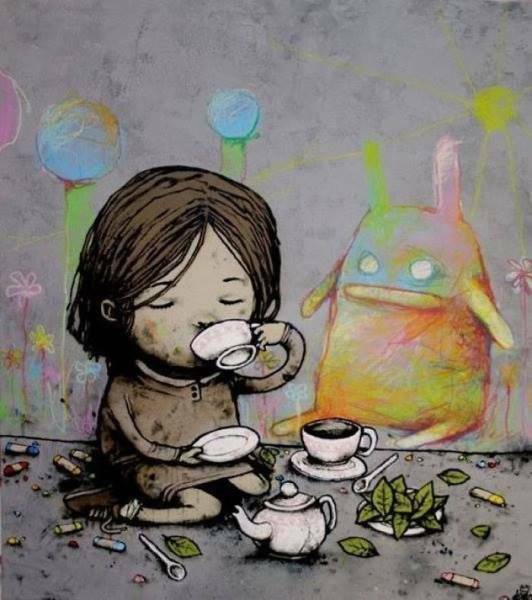 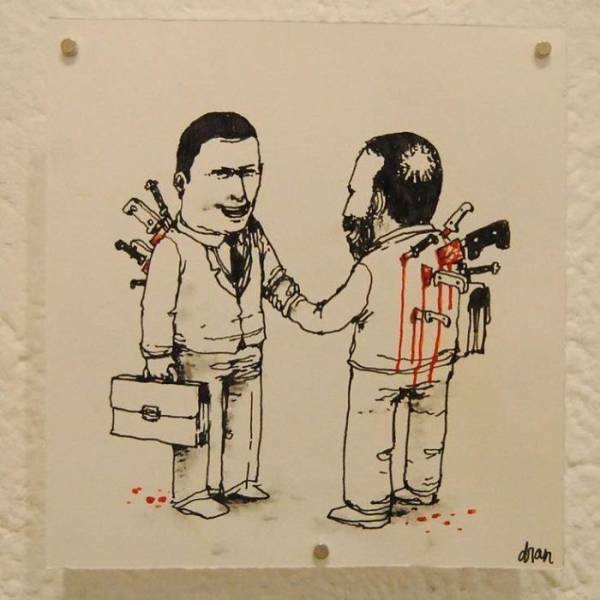 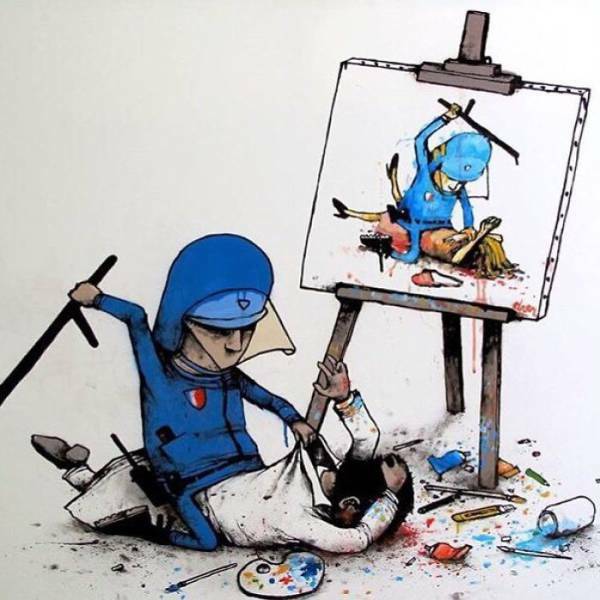 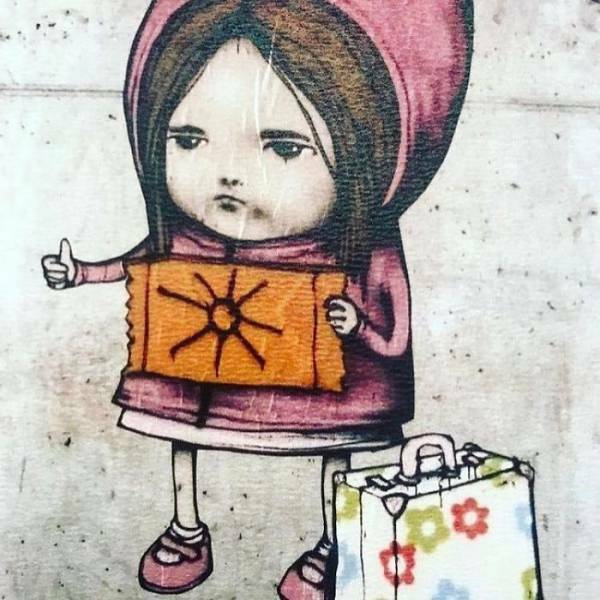 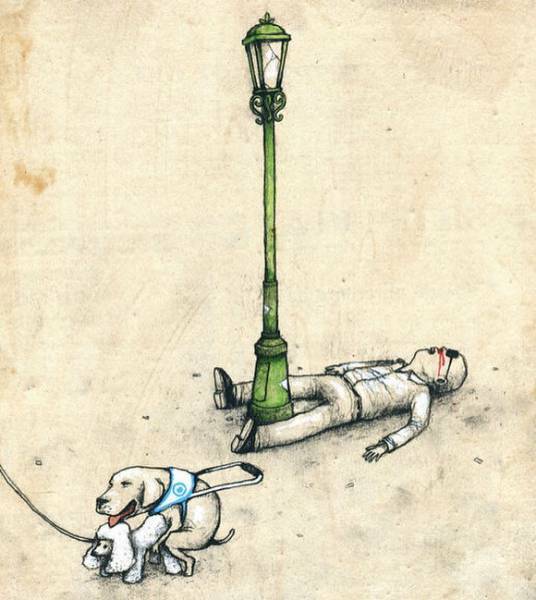 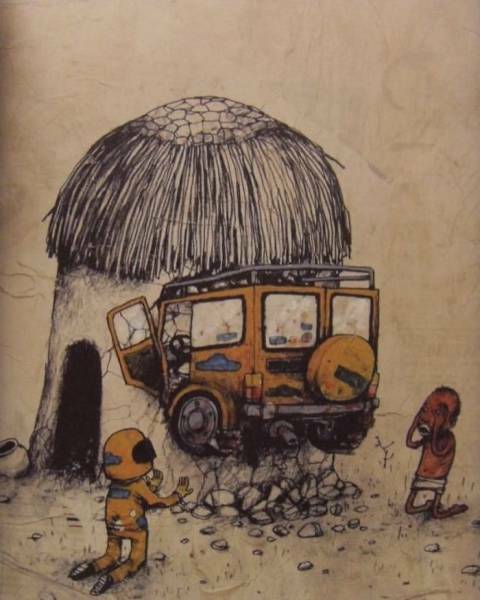 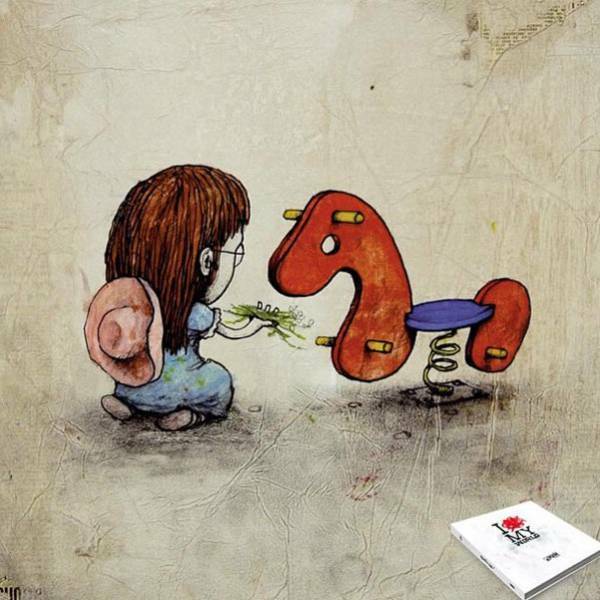 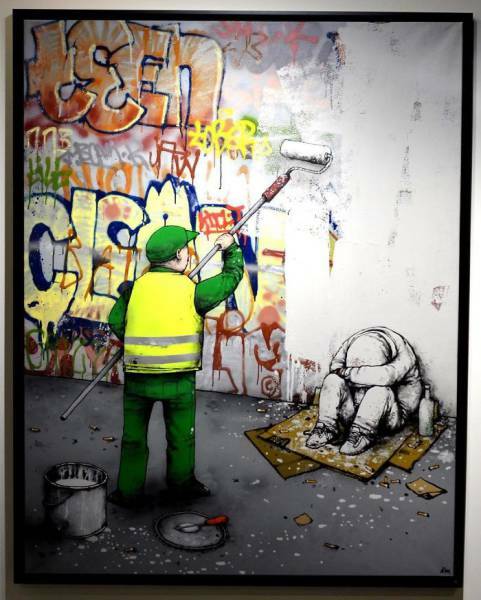 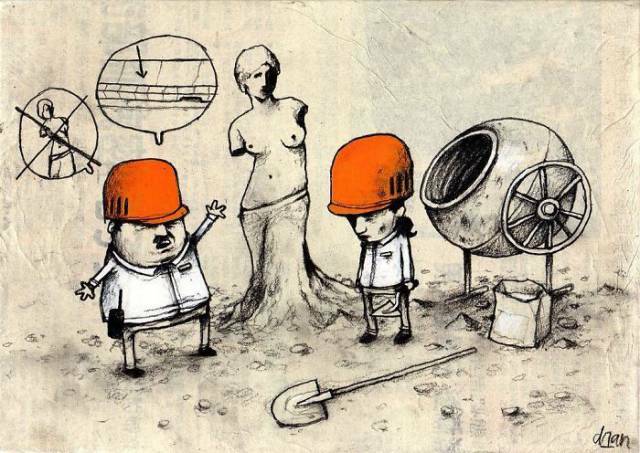 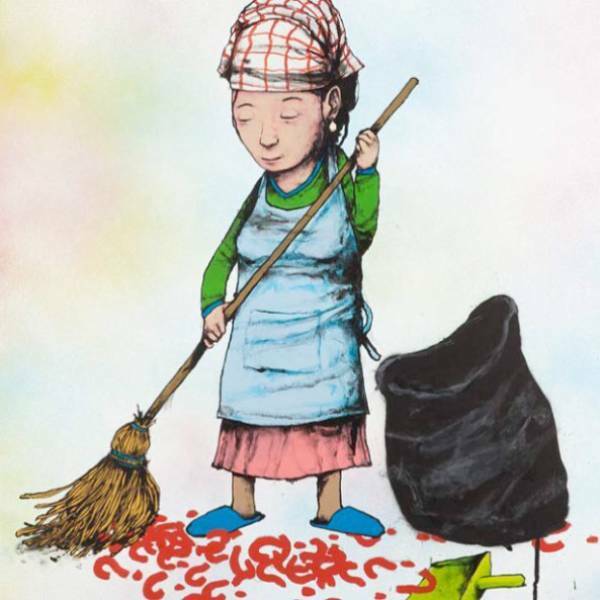 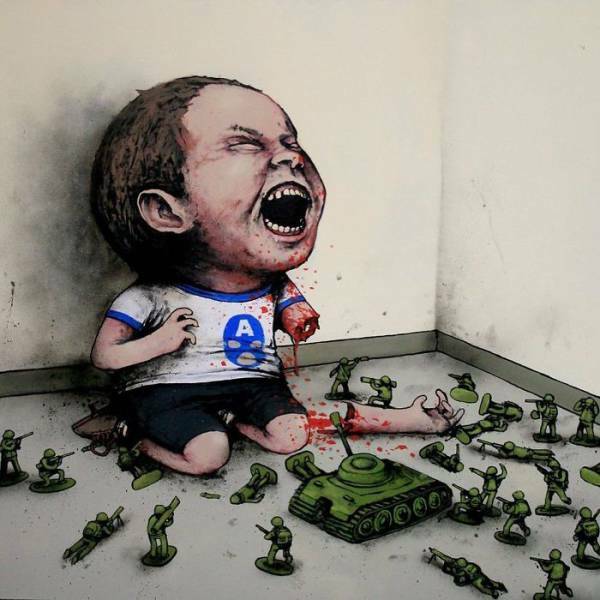 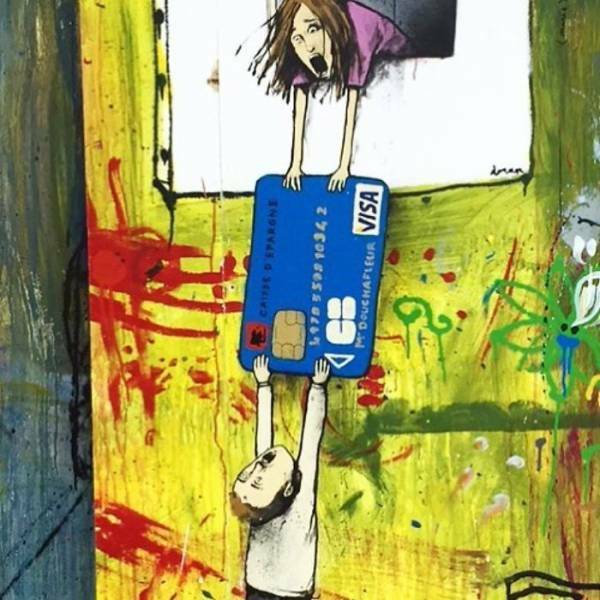 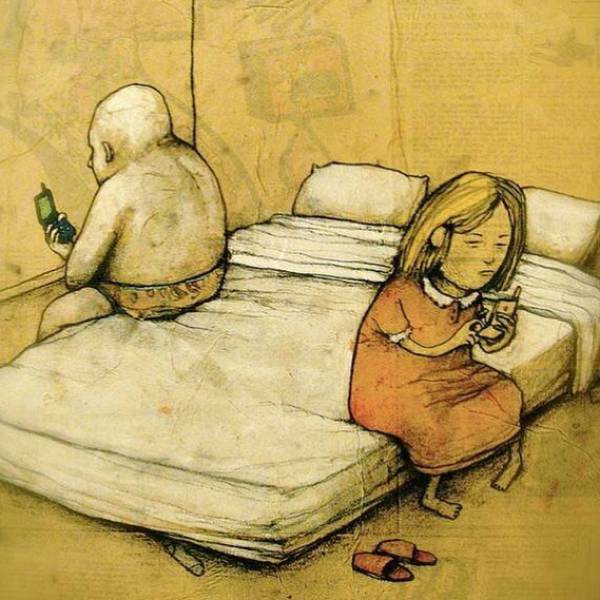 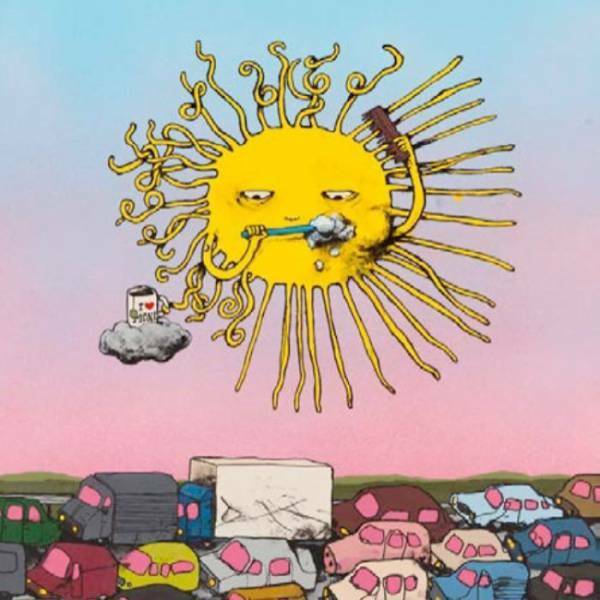 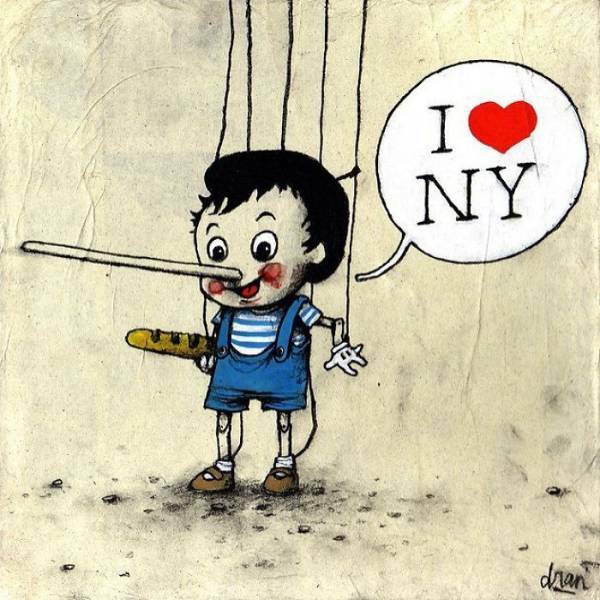 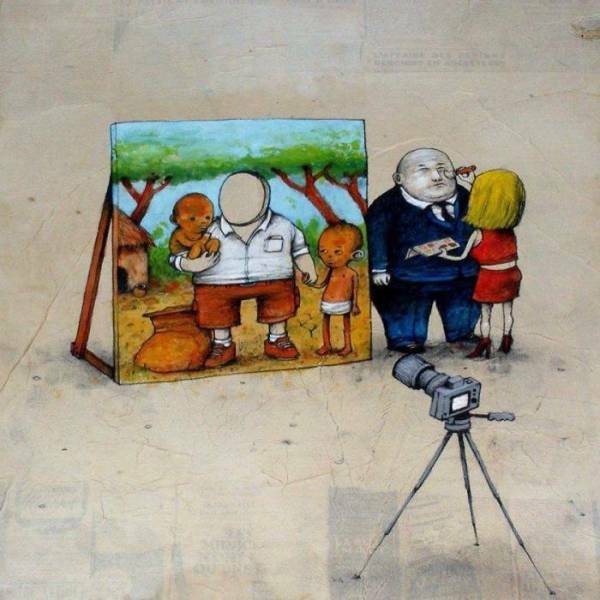 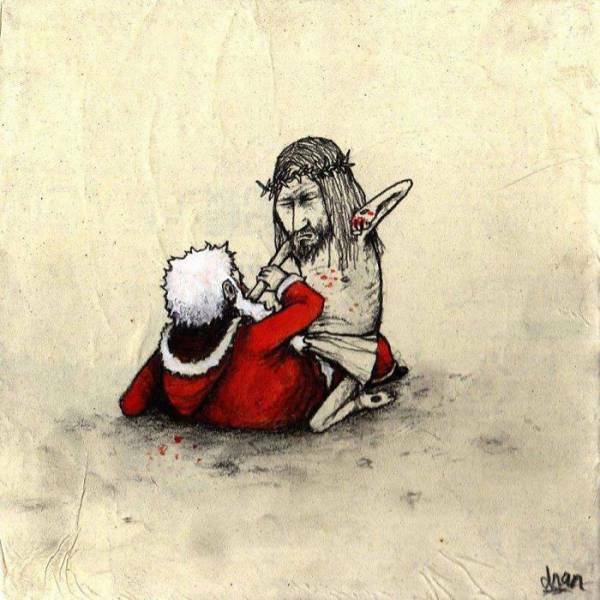 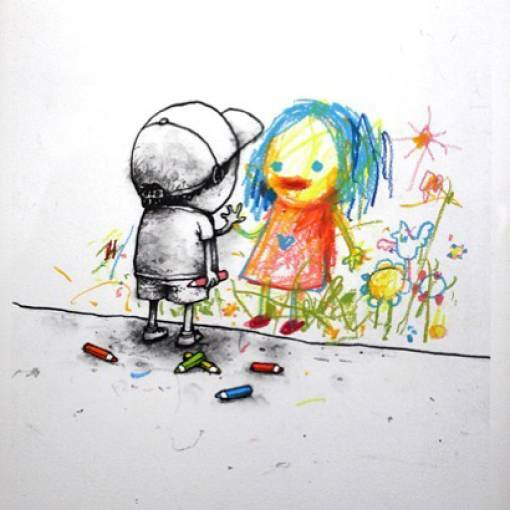 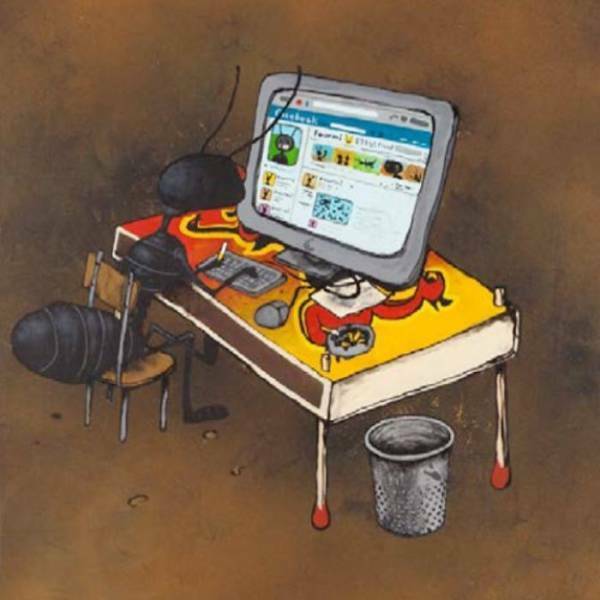 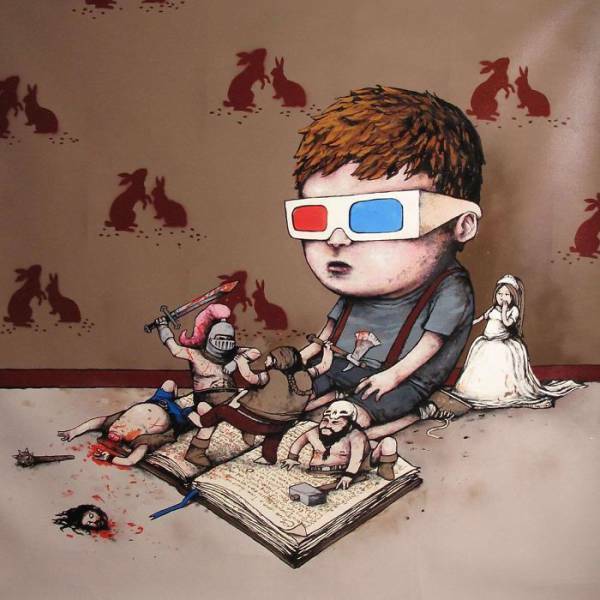 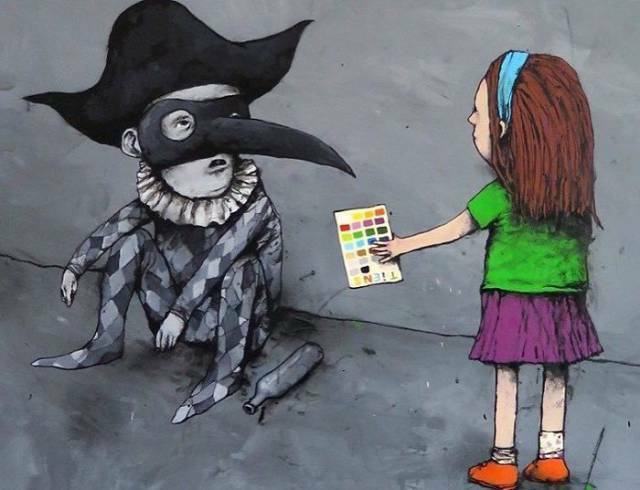 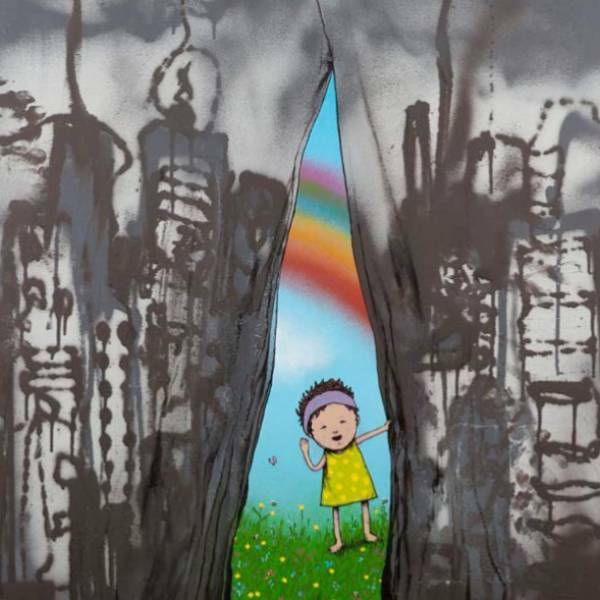 The street artist Dran, born in Toulouse in 1979, had to work in construction with his father, but was too weak for that. 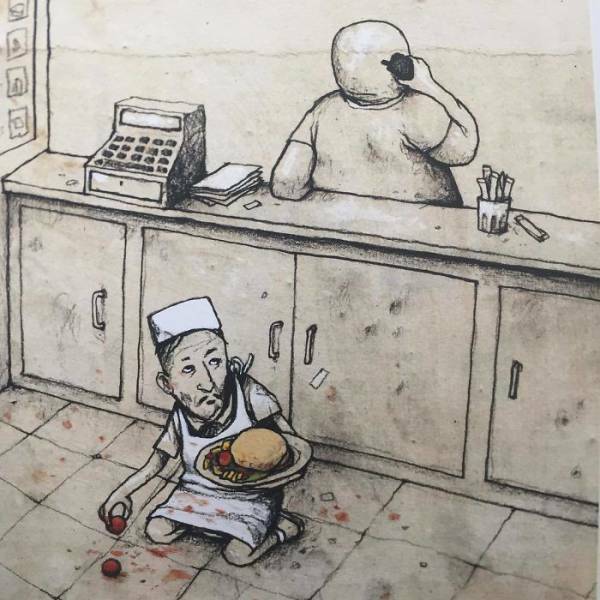 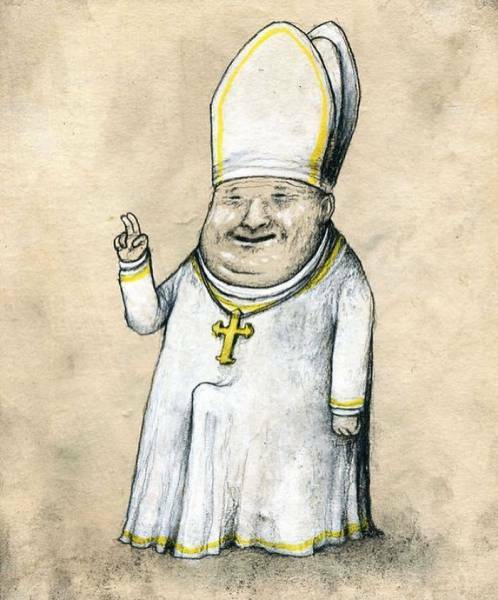 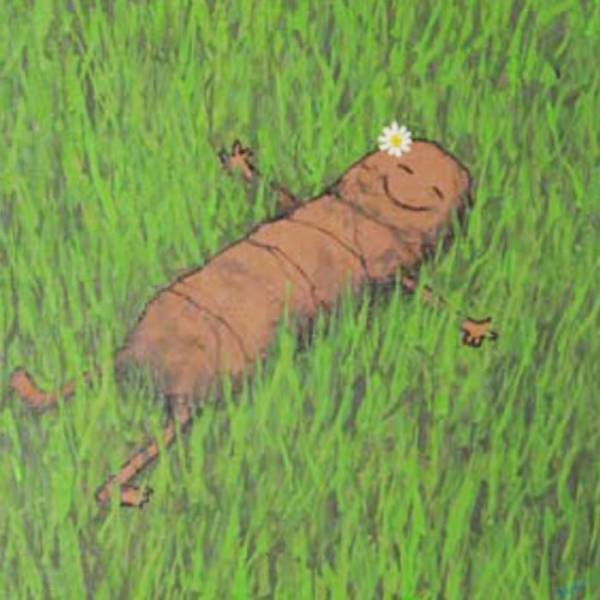 So he started a career in drawing his views on the current state of the world, which visually look very similar to Banksy’s drawings. 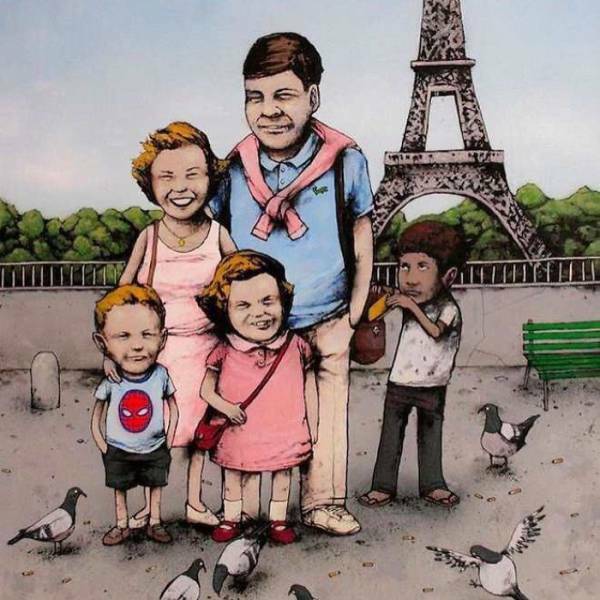 #3 Is he saying that the people of France are pickpockets?